In the late 1970s and early 1980s, British blues fan Alan Harper became a transatlantic pilgrim to Chicago. 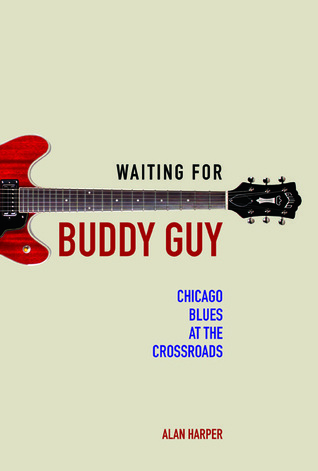 "I've come here to listen to the blues," he told an American customs agent at the airport, and listen he did, to the music in its many styles, and to the men and women who lived it in the city's changing blues scene. Harper's eloquent memoir conjures the smoky redoubts of men like harmonica virtuoso Big Walter Horton and pianist Sunnyland Slim. Venturing from stageside to kitchen tables to the shotgun seat of a 1973 Eldorado, Harper listens to performers and others recollect memories of triumphs earned and chances forever lost, of deep wells of pain and soaring flights of inspiration. Harper also chronicles a time of change, as an up-tempo, whites-friendly blues eclipsed what had come before, and old Southern-born black players held court one last time before an all-conquering generation of young guitar aces took center stage.